"The smart makeup. Liquid foundation with adjustable, oil-free coverage provides moisture and absorbs oil when and where needed. Silky upon application." This foundation came in the mail with my Douglas order last friday and I have been using it since then. This is my first 'high end' foundation. Brands I have used before Clinique are Maybelline and Max Factor, both drugstore brands. What drove me into buying this foundation? Well, I had recently purchased the Max Factor Second Skin foundation and I HATED!!! it. I was so disappointed because many people had recommended it, and it was quite expensive, (normally I buy my foundation when they have it on a 'special deal' kind of thing), the foundation just wasn't working for me. Plus I had purchased the lightest shade and yet it was too dark, and I might be light skinned, but I am not pale white. You might think... 'if you're labelling Max Factor as expensive, why the hell did you purchase Clinique! That's twice the price of Max Factor'. Well, let me tell ya. My birthday was on december 24, and I recieved some gift cards from my friends for my birthday and two for christmas as well. So, technically. I didn't even pay for this foundation. I just really wanted to try out a more luxurious brand and see for myself if it really was that much better. The first time I applied this foundation, I used a flat top kabuki brush from Zoeva, and found that I really didn't like the way it applied. It felt like it had trouble gliding onto my skin. But the next day I decided to use my fingers, something I generally never do. The application went much smoother and it felt really lovely on my skin. The foundation doesn't provide full coverage on the first layer, but it's buildable so you can add more where you think it's necessary. The foundation lasted all day, hardly transferred onto my phone or hands, and I didn't feel like my face was dry at all. It really does what it says, it adds moisture where needed and takes away oil where necessary. I really recommend this foundation for people that have combination skin. If you feel like it's worth the splurge to look lovely every day, then this is a great product for you. 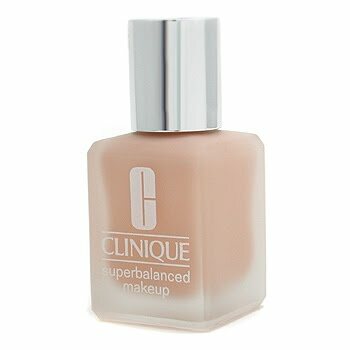 Clinique superbalanced makeup retails at around €28 for 30 ml. I use the shade Ivory.